A reggae version with bagpipes. Slowly February's masterplan reveals itself. Tickets booked for the Duke of York theatre in April. Oliver Reed: Wild Thing, a play by Mike Davis and Rob Crouch returns to the Kings Head Theatre from 10 – 28 January 2017. This one-man homage to renowned actor Oliver Reed returns following runs at the Edinburgh Festival, a UK Tour and a critically acclaimed London run. Join legendary hell-raiser Oliver Reed as he shares his incredible life story whilst knocking back a drink or four. Reed’s was a life well lived, hear about the success of Oliver!, boozy adventures with Keith Moon, his boyhood excitement of learning he was a descendant of Peter The Great and those disastrous chat show appearances. I can get there by taking the Northern Line from home to Angel underground without even needing to change tube lines. It is as if the dice were loaded against Dry January from the start. In the course of winning the Antelope quiz on Monday I identified a short extract from Tilted by Christine and the Queens in the music round, announcing that it was my favourite single of the year; something I hadn't realised up to then. Please find the French original below as an added bonus. Here is the Department for Transport's Single departmental plan 2015 to 2020. This government is investing to make journeys better: simpler, faster and more reliable. Our plan will support jobs, enable business growth, and bring our country closer together. Perhaps the word vision doesn't mean what I think it does. You may wish to consider how it is performing against them if you commute via the tube or Southern Rail. I am lucky enough to be able to walk along the river Wandle to work of I don't fancy driving. I fell off the wagon this weekend as regards Dry January. Can I get back on? Dr Strabismus (Whom God Preserve) of Utrecht is pointing me in both directions. We've all had a shower beer. Why? Because it's one of the few pure, unadulterated pleasures in life. And now, a Swedish brewery has created the ultimate shower beer, because it's designed specifically for that very purpose. PangPang Brewery partnered with creative agency Snask to create the appropriately dubbed Shower Beer, which is "sweet, but strong" and "meant to gulp in three sips while standing the shower." Andy told me that Bradley (Callum's brother) came on for Sutton in the FA Cup draw with AFC Wimbledon yesterday. I didn't even know he played for them. I will try and get along to the replay. In the days of Premier League sides fielding weakened teams and treating the competition as an inconvenience, this is where the spirit of the FA Cup resides. I started reading My Bass and Other Animals out of vague interest because Guy Pratt is Ollie's cousin. It is actually hilarious and, because he is the same age as me, very resonant. I'm going to see his show on Feb 10. My brother called last night to rave about his Amazon Echo and tell me that one of my nephews got a Dot for Christmas. Hyperbole not withstanding, this thing could be unstoppable. As is becoming traditional, I bowled up with burritos and the makings of picklebacks at the Hendries' Boxing Day party. A pickleback, for the uninitiated, being a shot of whiskey chased by a shot of pickle juice. The first time I unleashed the PB on an unsuspecting audience I used the brine from my brother's home made kimchi. This time I made my own. 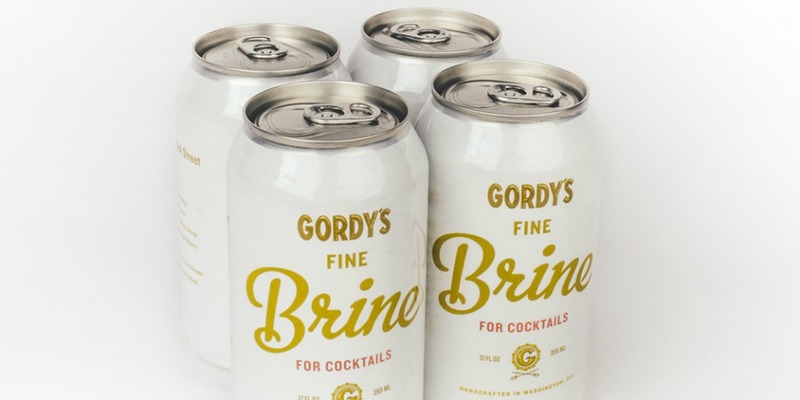 Now it seems (hat tip Frankie) that you can buy cans of bespoke mixing brine at sixteen bucks for four. Considering that all that is involved is boiling up sugar, salt, vinegar and spice perhaps I should start knocking out my own artisanal range. January, sick and tired, you've been hanging on me. As my second Dry January kicks off, I would like to weigh less than thirteen stone at the end of it as well as having got my 500m Concept row personal best below one minute fifty seconds. This means losing two pounds and shaving 0.7 seconds off my time so it is hardly shooting for the moon.